New Providence, Bahamas – For the ninth year in a row, Bahamas Waste Ltd. is teaming up with Susan G. Komen Bahamas Race for the Cure® for its annual breast cancer fun run/walk. Each year, Komen Bahamas honors breast cancer survivors and remembers those who have lost their fight to the disease. 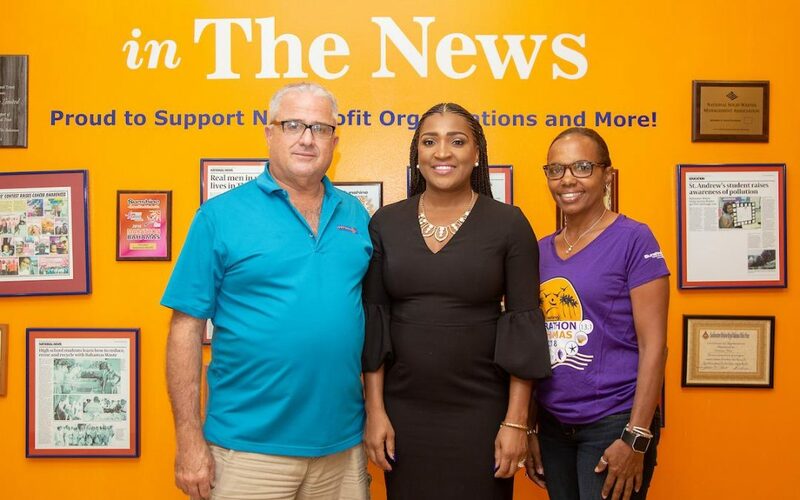 Bahamas Waste, a leader in waste management, has been there from the beginning, offering support to not only Komen Bahamas but its sister event, Marathon Bahamas. “Cancer Awareness is something that we are very passionate about” explained Managing Director Francisco De Cardenas. “We are proud to support the efforts of this, and other organizations which encourage our people to get regular screenings while simultaneously supporting life-saving research,” he said. Despite the advancements made, various forms of cancer, remain prevalent, affecting both men and women in The Bahamas and around the world. In fact, according to global statistics, there will be 23.6 million new cases of cancer each year by 2030. As a responsible corporate citizen, Bahamas Waste has led the way in its commitment to fighting the disease. In 2019, Bahamas Waste will once again lend logistical support to both Komen Bahamas and Marathon Bahamas. The company will provide portable toilets, which will be placed along the race routes and at the start and finish lines. “Bahamas Waste came on board big time for Sunshine Insurance Race Weekend and in 2013, the company agreed to nearly double the previous years’ requests with trash bins, toilets, and dumpsters” said Race Weekend Marketing and PR Chairperson, Rogan Smith. Komen Bahamas takes place on January 19th, 2019. Sunshine Insurance, which is the lead sponsor and organizer of the event, says 100% of the net proceeds are shared locally between four cancer charities. Meantime, Marathon Bahamas, which is celebrating its 10th anniversary, takes place the following day on January 20th. To register, visitwww.komenbahamas.org and www.marathonbahamas.com.